Get out and vote like it’s 1924! In honor of the Vermont primary on August 9th, we remember that every vote counts – even in a small town. The tiny Vermont town of Somerset (which still exists!) could not be silenced despite losing 50% of their voting population in 1924. In one fell swoop, the town clerk, treasurer, tax collector, constable, and school director departed, leaving the other two legal voters the only residents eligible to cast their ballots. 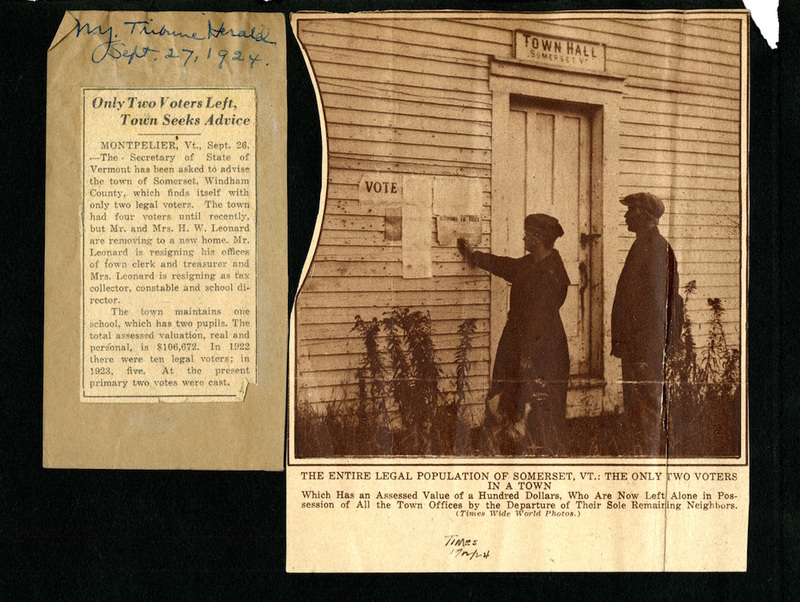 Though the town currently boasts a similarly small population, we hope they, and all voting Vermonters, make it to the polls tomorrow!